Dear Anna: For many people, working at home solves myriad challenges, including time lost traveling and food expenses. Also, cutting down on sick days is easier when you don’t have to venture out. Having a home office can be ideal with today’s computer connections, but it also depends on your career choice. Many accountants work from home, so consider how you can better situate yourself so that you can close out home distractions and concentrate on your clients. 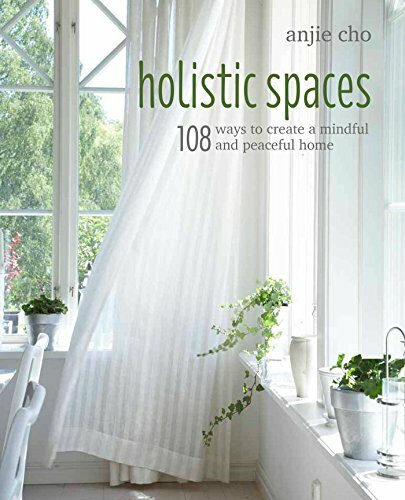 In her recent book “Holistic Spaces, 108 Ways to Create a Mindful and Peaceful Home,” the author, interior architect Anjie Cho, lays out how to create holistic spaces using many disciplines. She thinks of feng shui as the original “green” design and looks at how the environment affects us on an energetic level, as well as how we affect the environment. The philosophy of where to situate furniture in relation to doors and windows, what should or should not be in a room and how we can benefit by following these rules is an ancient one, and not often thought about in western societies. Because so many of Cho’s rules and so much of her guidance is backed by a combination of common sense and tested theories, it is a valuable companion, especially if you are struggling with home anxieties. Mindful Design is a new way to learn feng shui. Our unique training program takes an holistic approach to learning the art of feng shui design. Mindful design is about becoming aware, and attentive, to the energy around you: both inner and outer qi. It is about promoting a better way of living and creating sacred spaces that support, and nourish. Visit us at mindfuldesignschool.com.